SAP Business One: All-In ERP! A Single Application........ Multiple Benefits. Designed exclusively for Growing Businesses, SAP Business One is an affordable solution that manages a company’s entire business across financials, sales, customers and operations, all in a single system. 1. Single fully integrated business management (ERP) solution encompassing Finance, Procurement, Inventory Management, Production, CRM, Sales, Service: One unadulterated view into your operations - realtime. 2. Extended industry applications specific to your operations for discrete & process manufacturing, project management, retail management, e-commerce, rental/leasing management, maintenance management and much more: Keep code clutter out of your systems environment - activate what is required only for the entities that require them. 3. Built-in intuitive realtime analytical tools - Drag & Relate, Query Wizard, Crystal Reports, Dashboards and massive Reports Library: Discover opportunities and analyze your company's performance. 4. Mobile access to your company data - access via your iPhone, iPad or Android devices: Be where the action is and respond proactively to your customers' needs! 5. Continuous development to increase functionalities and improve performance: Clear roadmap into the future. 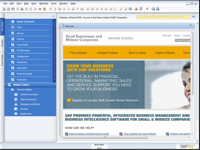 Look out for SAP Business One Ver 9.0! 6. Serious number crunching power & analytical insight with SAP HANA integration: Go from big data to clear insights with the analytic tools of SAP HANA. Learn more about SAP Business One here. Review the features & benefits of SAP Business One here. 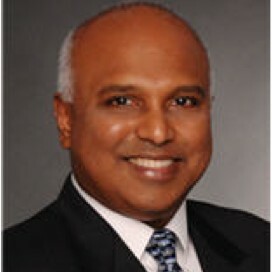 Blue Ocean Systems implements and integrates customised SAP Business One Solutions to help clients increase profitability and improve operational efficiencies. We specialise in the implementation and support of SAP enterprise applications for small to medium sized enterprises (SMEs). Over 20 years experience and an unblemished history means we can deploy the right solution quickly for immediate improvements. Find out from Blue Ocean Systems how you can deploy the SAP Business One ERP suite to raise productivity and reduce complexity. Contact Us today! 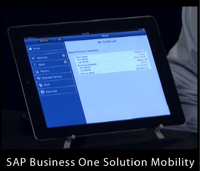 View SAP Crystal reports on an iPad – your mobile portal to SAP Business One. E-mail your customized reports. Stay in touch with your business and customer data, check on inventory, receive alerts, and process approvals while away from the office on your iPhone. Mobile portal to SAP Business One – stay in touch with your business and customer data away from the office. Check on inventory, access reports, receive alerts, and process approvals. 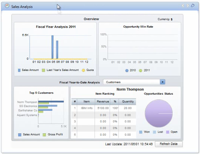 View and share SAP Crystal reports and your own customized reports. Get Your SAP Business One Deployed by Blue Ocean Systems! Although SAP Business One was tailored for organisations with less than $100 million in annual revenue and fewer than 100 employees, increasingly today there are entities with over 500 users operating at multiple sites either regionally or globally. SAP Business One provides small to medium sized enterprises (SMEs) the opportunity to grow their company, reduce costs and improve efficiencies with a comprehensive and affordable enterprise resource planning (ERP) system used by over 100,000 companies globally. Blue Ocean Systems (BOS) ensures tailored SAP Business One (B1) solutions for a wide variety of industry sectors with specialised functions and accessibility tools.